How much does access to Getty Images cost? The cost of Getty Images is $25/month. Upgrade or cancel at any time by heading to your settings page in Jar. If you subscribe to our Getty Images Add-on, when you request a new design and need stock photos or illustrations, your designer will be able to pull images from the Getty catalog to use in your designs. You can select your own through our handy finder in Jar, or ask your designer to find ones for you. As long as you have the Getty Images add-on on your subscription, there will be no additional fee per design used from Getty. Subscriptions to stock photography or media is under a specific use license. Managed stock photography or assets (provided by Getty Images or other services) are licensed to be used in the specific graphic files created by Design Pickle from a client request. Individual photos or assets will not be provided. What if I don't want to upgrade to Getty? Can I still get stock photography? Sure thing! 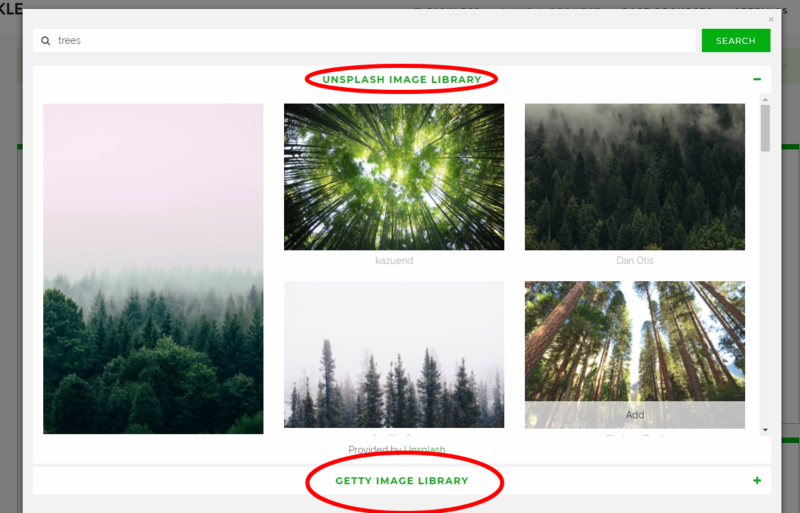 Even without a Getty subscription, you'll still be able to find images that meet your criteria from the Unsplash catalog. You're also more than welcome to bring your own stock images (just make sure you have the license before sending it to us!). Where do I find Getty Images in Jar? In step 2 of the Jar form, click on "Yes, I need photos". Then select "Find my own photos". A search bar will pop up. Here you can type in what you're looking for in an image. Click on "Getty Image Library" to filter for results that are found in the Getty library. Can I access Getty Images on my own? The Getty Images package is meant only for use in your designs. We cannot provide you with your own login to the Getty Images catalog or standalone file use. What's the best way to utilize our partnership with Getty Images?